Hidalgo County District Attorney Ricardo Rodriguez, Jr., said Friday this special human trafficking unit will focus on forced labor in the agricultural sector, the region’s largest industry. Rodriguez told local news outlets the Rio Grande Valley is more prone to cases of human trafficking and labor exploitation because of its close proximity to the border with Mexico. The unit is a pilot program funded by a $356,783 grant from the Buffett-McCain Institute Initiative to Combat Modern Slavery, a multi-disciplinary effort to end human trafficking, according to Texas Border Business. In 2017, the Howard G. Buffett Foundation and the McCain Institute for International Leadership at Arizona State University launched this three-year initiative to target human trafficking in the agricultural sector. The institute chose to begin this initiative in Texas and partnered with the Human Trafficking and Transnational Organized Crime Section of the Office of the Texas Attorney General, according to the Texas Human Trafficking Prevention Task Force 2017 report from the office of Texas Attorney General Ken Paxton. 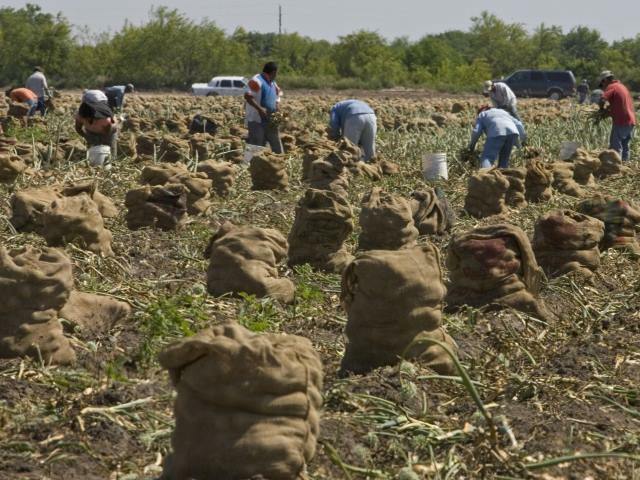 It also teamed up with Texas Rio Grande Legal Aid in the anti-labor trafficking effort targeting agricultural workers in south and northwest Texas. “In forced labor, workers are often tied to the employers who hold them hostage to the job by taking away their immigration status,” said Rodriguez.” He noted that, in these cases, some employers pay migrant farm workers an amount less than promised or have them work long hours with limited access to food and water. He claimed that some victims suffer from verbal or physical abuse.